This sign may not look like a big deal to you. We see voting center signs regularly - often at a school. ..... But it is a very big deal! 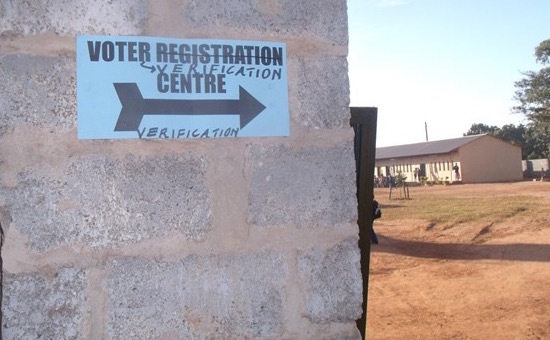 The city of Ndola recognizes this area as a valid community with voters. People came into this area - outside a slum of Ndola - and started occupying it. We would call them "homesteaders" or "squatters." They started building houses from handmade mud bricks or homemade concrete blocks. Recently, the city government recognized the area as a viable community and let the people claim their land. This school, started by a ministry as a community school with one grade and one teacher in a church that was falling down, is now a beacon in the community. 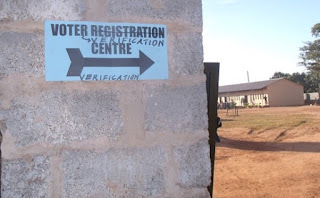 The city recognizes its prominence and sees it as a trustworthy site for a voter center. Zambia is having national elections in August. They have a democratic form of government and the people will participate in choosing their next president. 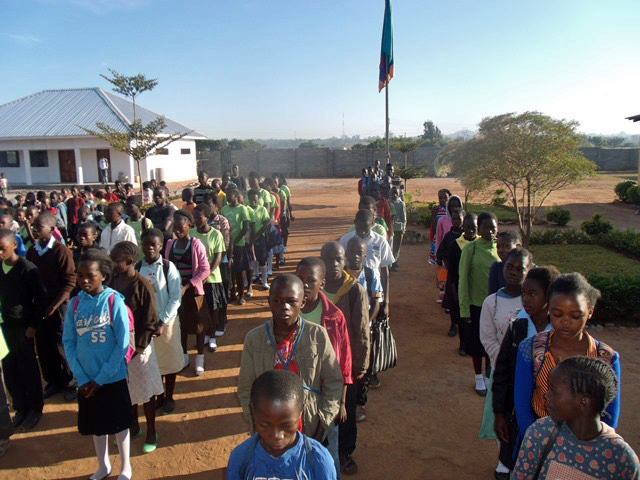 The second term of the 2016 school recently started at WISDOM Community School. 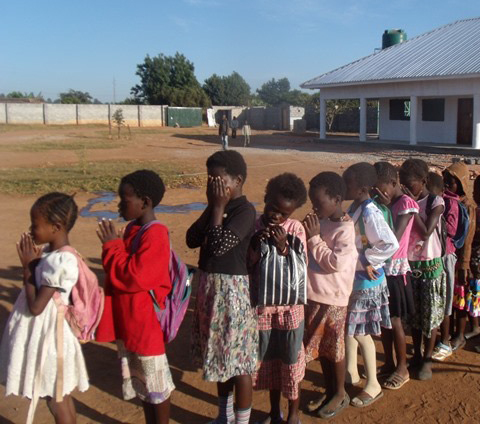 The morning students line up before entering the classrooms and have prayer as they start their day. The kitchen building is almost complete!! When the LIVING WELL team arrives in June, they will do the "finish out" of the building. 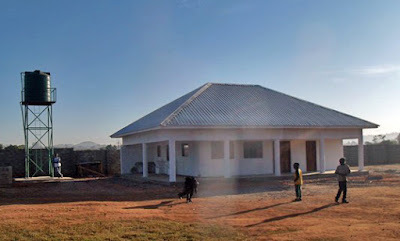 Please pray for the contractor as he finishes and the LIVING WELL team as they prepare.